A trip is never complete without bringing home some goodies for your loved ones. Palawan has a lot to offer. Seafoods, pearls, cashew nuts, mangoes. But before you buy something, take note of this guidelines. I took this photo from the airport. So please, do not attempt to bring home any of these, as you will be penalized at the airport. And they implement this seriously. Another thing that is forbidden to bring outside Palawan are their mangoes. It is because Palawan mangoes have what they call "mango weevil pulp". Mango pulp weevil was observed in the southern part of the province in 1987, which was believed to have come from the neighboring country of Malaysia. Because of the discovery, a ban was imposed against the transportation and selling of mango harvests from southern Palawan. The whole province was also placed under plant quarantine. This means fresh mangoes from the province are not allowed to be transported outside so as not to affect others. The imposition of the ban has made the market for the mangoes in the south limited only in the local market. Now, the ban is not only in Southern Palawan but in Northern Palawan as well. Coron is the Northern part of Palawan. Too bad, because the mangoes in Coron are so big and sweet! My hubby even bought 2 pcs. for his own consumption before our flight. 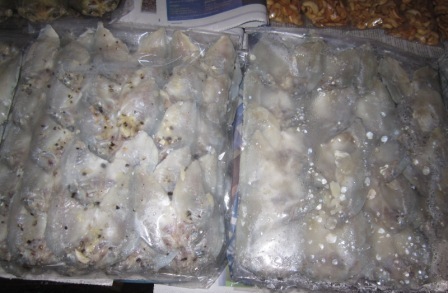 Anyway, instead on whining on mango ban, splurge on Lamayo - marinated danggit. I found this version better than the dried version you usually buy in Cebu. In the public market, Lamayo costs P350/kilo. 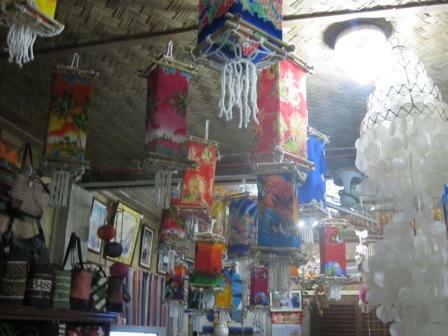 We asked Tita Chinette, owner of Coron Reef, where we could buy cheap Lamayo and she said someone delivers Lamayo on a daily basis in their house at P300/ kilo. So I gave her P300 and voila! I have a bunch of mouthwatering Lamayo! 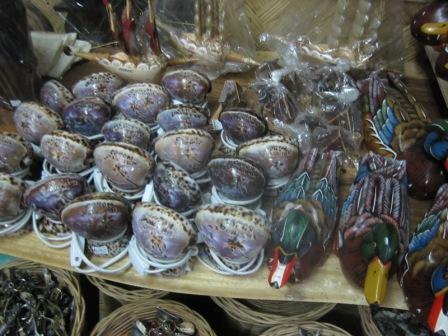 Someone also delivers mud crab or Manla in Coron Reef. A bunch costs P70. These tastes like alimango but looks like a mix of crab and alupihan. 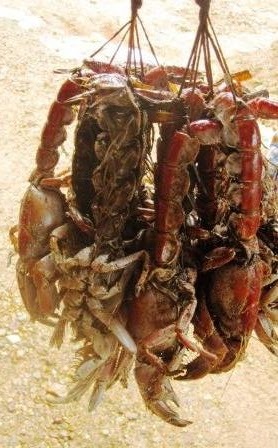 Regular crabs (alimasag) is at P100/ kilo and alimango is at P300/kilo, depending on size. 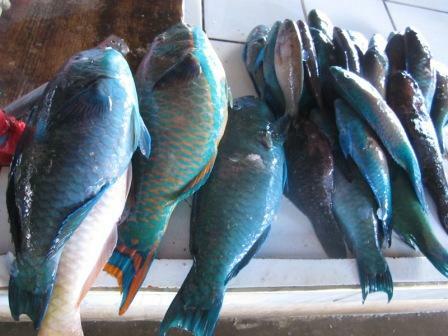 You can also buy fresh fish from the market and they will be glad to pack it for you. 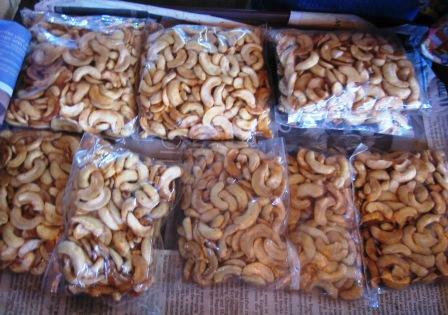 A Palawan trip is not complete without bringing home cashew nuts. Price is P50 for a 1/4 kg pack. Anywhere you ask, it's the same price. 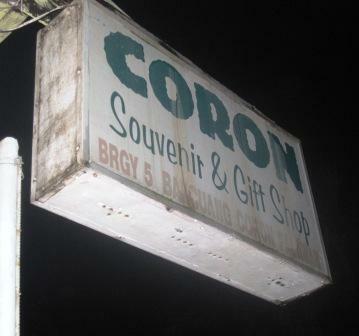 Coron is a small town and there are only a few who sells souvenir items. 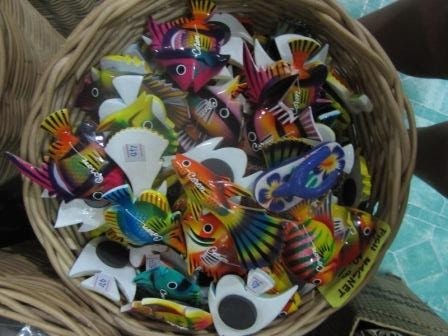 When you go to the public market, you will not find the typical souvenir items there like keychains, ref magnets, etc. 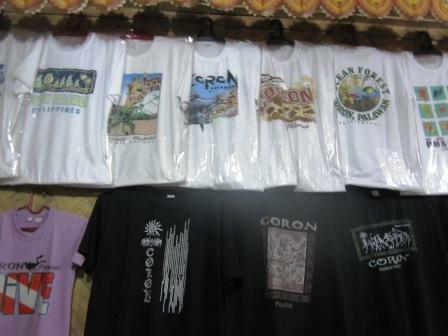 Instead, you find Coron shirts at P130 each. A souvenir shop a few meters away from Coron Reef is the most famous shop here. 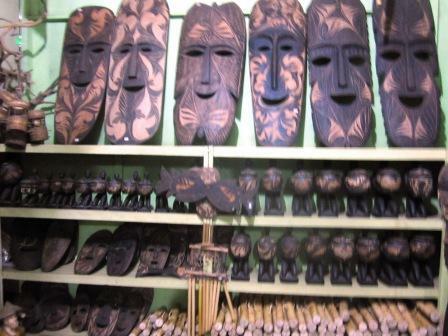 Bring home these wood carvings. They have it in all sizes, even as small as a ref magnet. Paper weight, pen holders, etc. 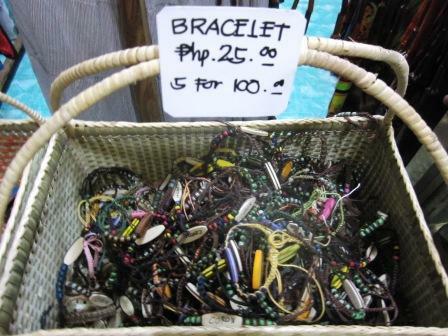 This is the cheapest you could buy here, bracelets at P25 each. Shirts are priced depending on size. If you want the "I Love Coron" shirt, they do not have it here. Instead, head to the public market and you can get one for P130 each. You can also bring home some cashew specialties like Bande (caramelized cashew), cashew butter, cashew brittle, etc.